 Duncan Seawall is well known throughout Southwest Florida for their excellent marine contractor services. As they have built their resume and grown their business, they are one of the few contractors able to take on any residential project in addition to their large commercial projects. 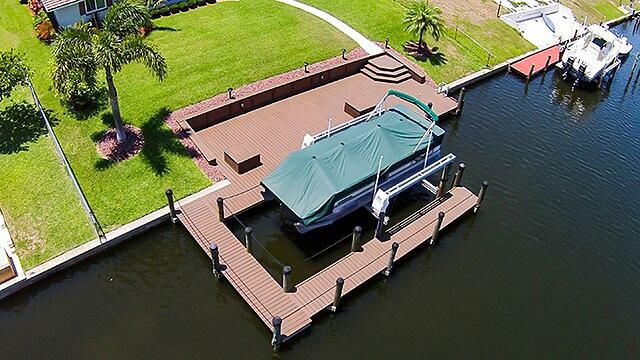 This 360-square foot high-end dock was constructed with Trex Transcends capped composite decking. 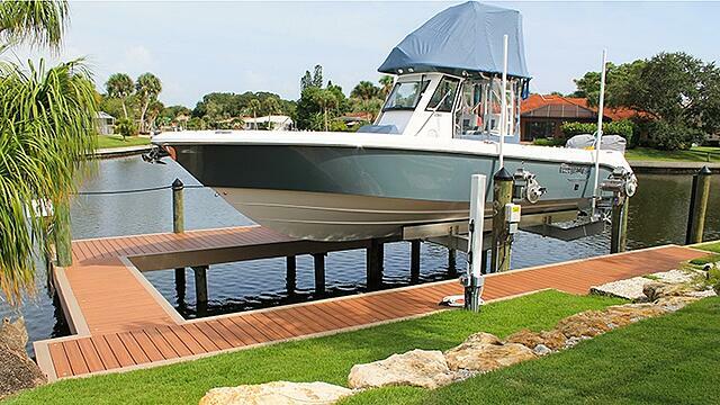 The dock was constructed with a border and facia design of a different Trex color to give it a one of a kind look. A 16,000lb. “Beamless” Golden Boat Lift with Sea-Drives, a GEM remote control unit with a limit switch, upgraded aluminum bunks, and shallow water cradle beams to give the customer extra water depth at low tides. A custom fish cleaning table was installed along with 2 aluminum retractable ladders, black pvc piling caps, manila rope handrail, Flex-Master pile mounted bumpers, and aluminum “S” cleats were accessories installed to make this beautiful dock complete. 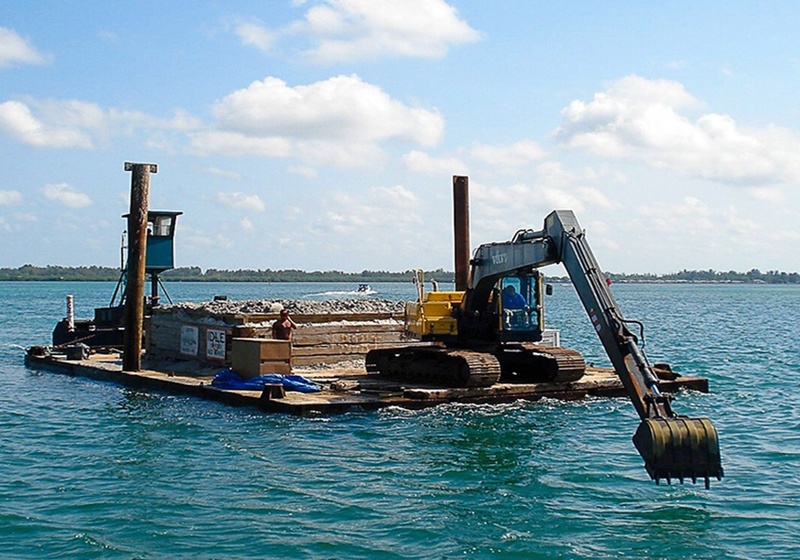 This residential dock is equipped with a 16,000lb and a 10,000lb. Golden Boat Lift. Over 1,100 square footage of composite decking was installed for minimal maintenance. 10 Flex-Master pile mounted bumpers were installed for mooring without damaging your boat and “S” cleats to secure your boat. 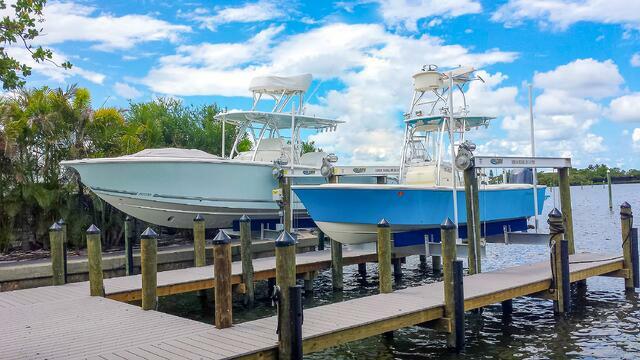 When it comes to boat maintenance, keeping your boat clean can be a big task. 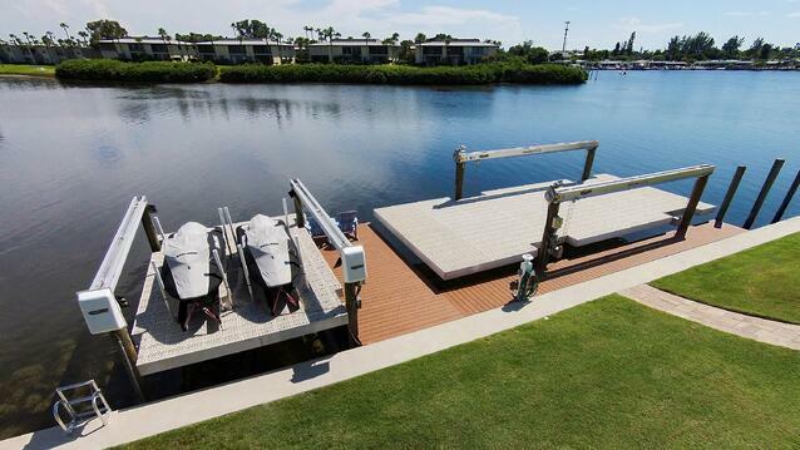 To make cleaning easier, this residential setup contains 2 Golden Boat Lifts (30,000lb. and a 4,500lb. capacity) with Sure Step flow decking platforms to provide easy all-around access. 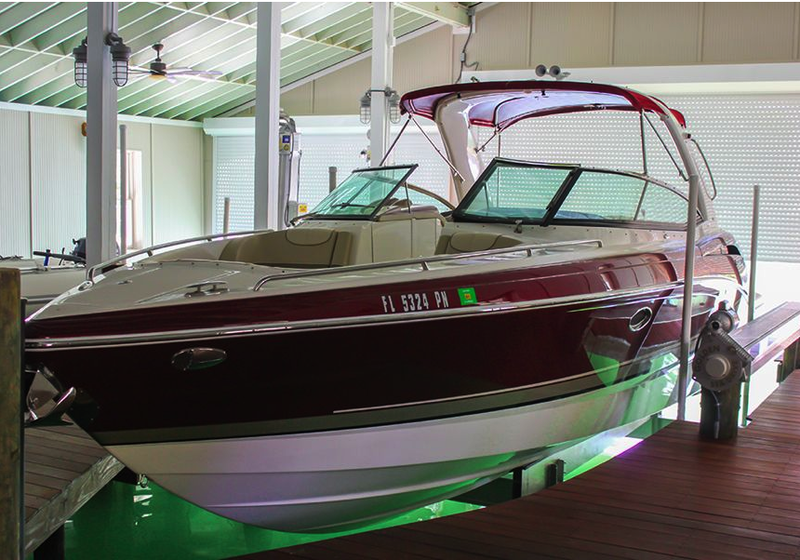 Electrical and water are readily available with the installed power pedestal on the dock making it even easier to maintain your vessels. 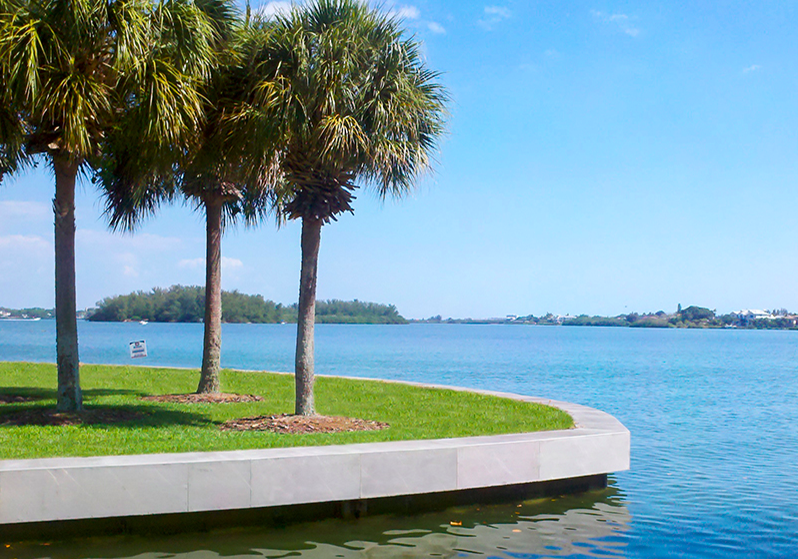 When it comes to spending time outdoors, relaxing on your deck or dock enjoying the Florida weather is time well spent. 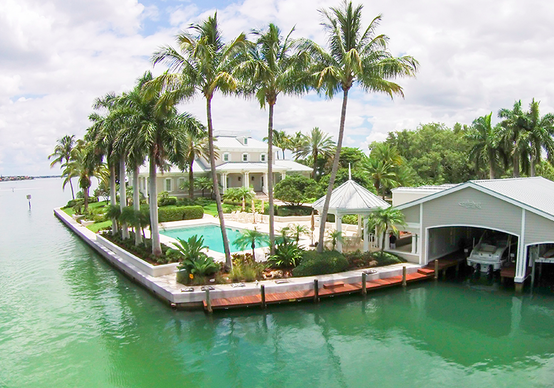 This one of a kind dock combines the best of both. With 1,000 square footage of decking, there is plenty of room to enjoy the sunshine. The existing davit bases were left and reused as built-in seating. A 10,000lb. 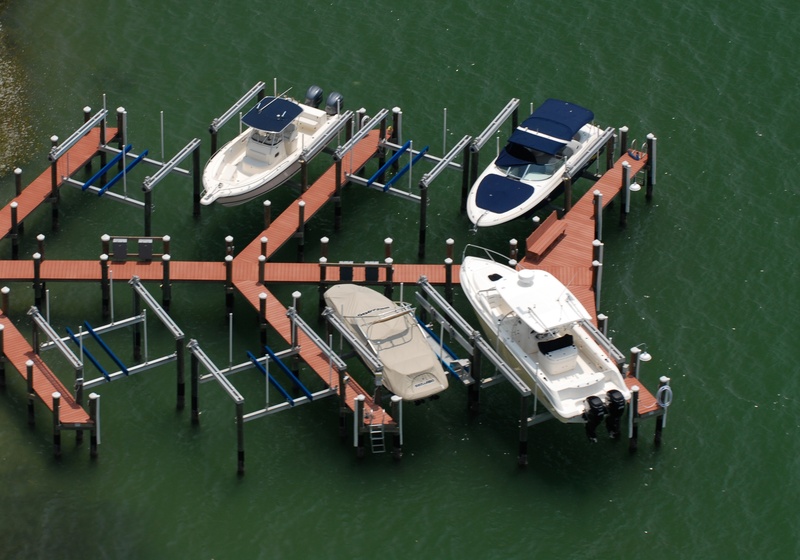 Golden Boat Lift is installed with pontoon bunk brackets. Attached to the dock is an aluminum retractable ladder and a kayak roller for easier kayak launching. Around the upland deck is painted Hardy backer board trimmed and capped with Trex decking to make this a truly one of a kind dock. Why stop enjoying your dock when the sun goes down? 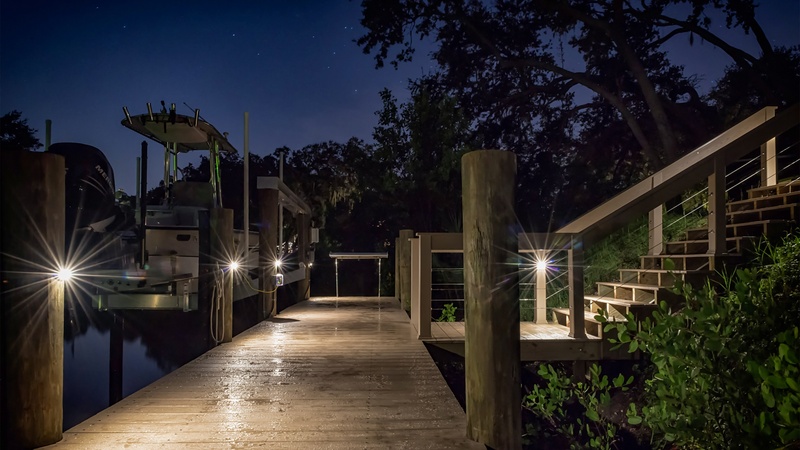 This 350-square foot Azek dock is beautifully illuminated at night with LED pile mounted lights, an underwater fish light and two under dock mounted lights to attract fish for nighttime fishing all controlled by remote. 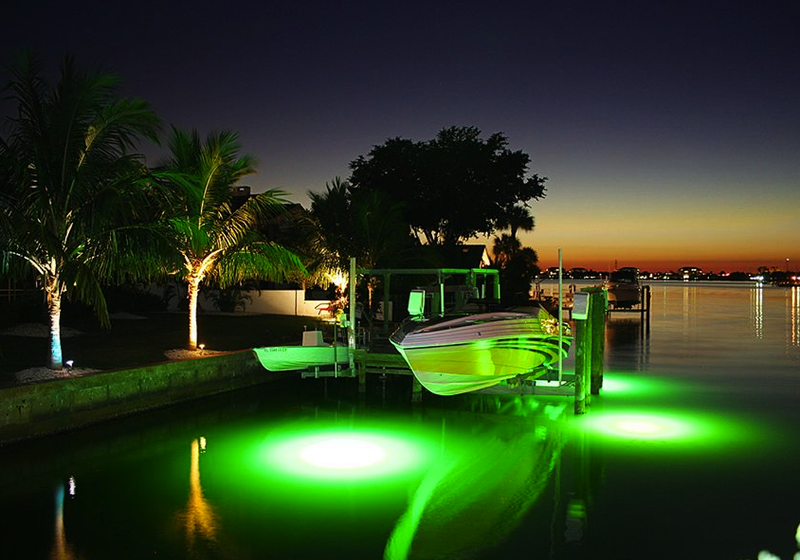 To help protect your boat, a motion security flood light was installed to discourage thieves. A 10,000lb. capacity Golden Boat lift with shallow water cradle beams and upgraded aluminum bunks were installed to help get the boat off in low tides. To clean the fish that were caught, an aluminum fish cleaning table was installed at the end of the dock.